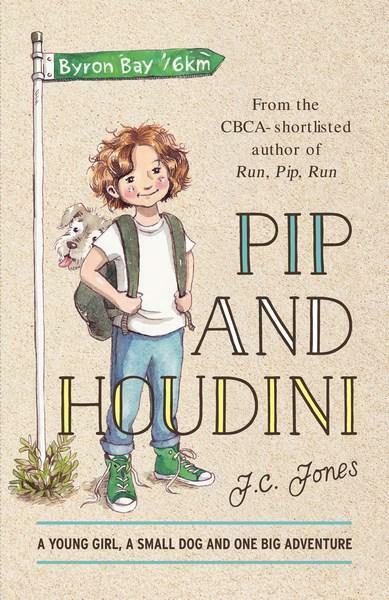 After all the danger and excitement of being a fugitive in Run Pip Run, you'd think it would be fair enough for Pip to finally find a place to call home. Pip seems to be forever getting into trouble when she's true to her principles. But standing up for herself leads to the unimaginable. So Pip decides to go it alone. She tries to leave Houdini behind so he can have a happy life but Houdini is the best four-legged friend a girl could hope for. He refuses to stay put. Together they survive a car accident, they walk for miles and miles and they don't eat very often. When they meet a nearly famous singer, the action takes off. 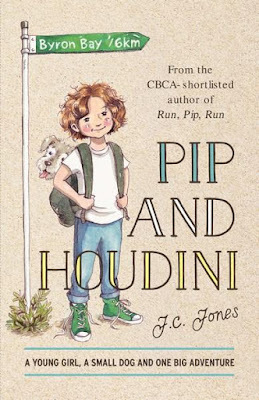 Pip's down-to-earth wisdom helps the three of them to keep a half-step ahead of trouble, but it doesn't protect Pip from being robbed.